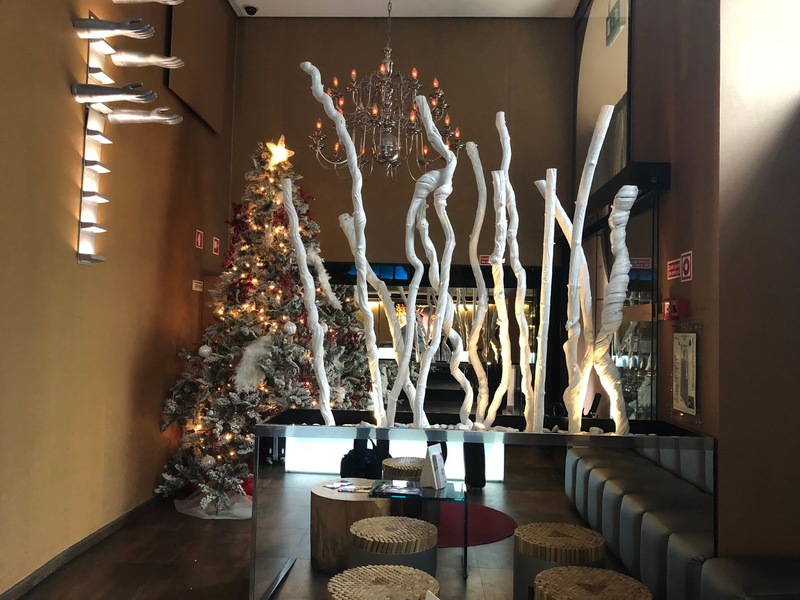 Our first travel destination of 2018 was Lisbon, and we were fortunate enough not only to be able to explore this amazing city in all its glory, but to also be able to stay in the heart of Portugal's capital at the Expo Astória Hotel. Over our four night stay, we always had a fantastic pad to head back to with amazingly comfortable rooms and amenities, excellent service, friendly atmosphere and contemporary surroundings. It is known as 'The Art Hotel,' a concept inspired by art and design and full of quirky characteristics and architecture. 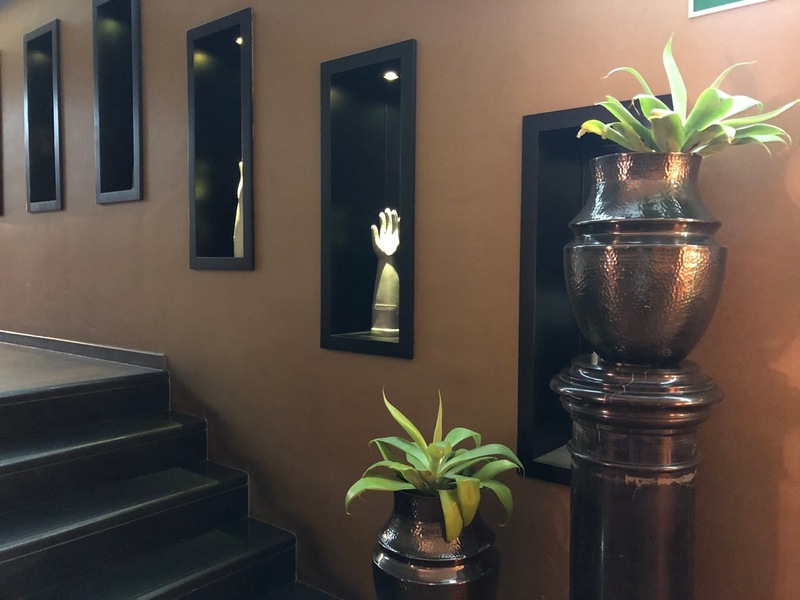 We felt they could have heightened these unique features, as it seemed to stop at the lobby and reception area, but room for greater potential is no bad thing and we were certainly taken aback and slightly creeped out by the hand sculptures appearing from the walls! We also loved the hotel's efforts in sustainable business. 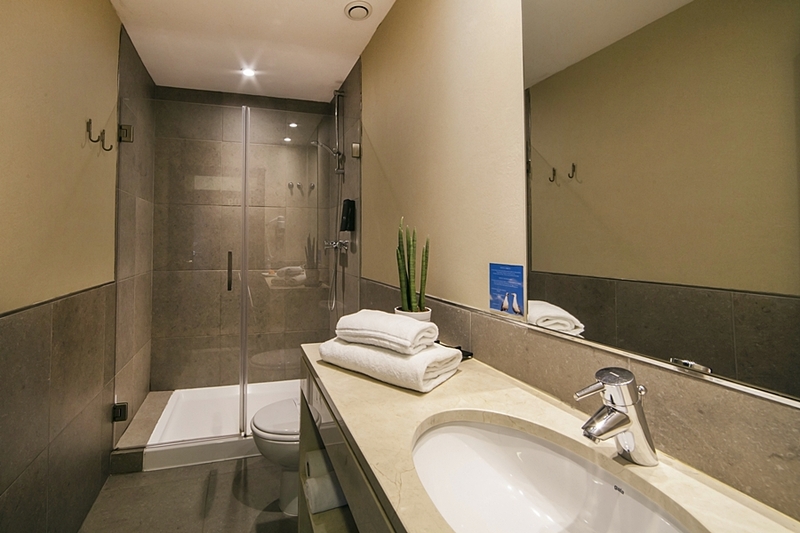 One prime example of this is how you can leave a sign on the door indicating if you would like the room to be cleaned and be provided with fresh towels. Your reward for not - a 5 euro voucher for the hotel's fantastic bar. Two nights of leaving a sign on the door got us the classic G&T and stein of Sagres - it's a win win! Running alongside the bar is the hotel's restaurant area, used for breakfast, lunch and dinner. With breakfast included in the price, we enjoyed an unlimited buffet every morning to give us energy for the fun filled days ahead. They had everything you could possibly wish for from the Full English to croissants and fruit and yoghurt. With a full range of coffees, teas and juices, it was the perfect way to wash down the cheeky custard tart to kick off the day. Unfortunately we weren't able to fit in an evening meal at the hotel, but we were certainly impressed by their offering. With a full Portuguese inspired a la carte menu available, you could also have a 'blind meal' - where the chefs would cook you up something pretty spectacular and unusual, for you only to find out exactly what it is afterwards. If the quality of those meals are anything like their breakfast, then it's definitely worth coming back for if we find ourselves in Lisbon again. The rooms were basic but did everything with a little touch of elegance and high quality. The beds gave us four fantastic nights sleep, the decor was minimal but sophisticated and the large and powerful shower brushed off any cobwebs to open and close our days here. 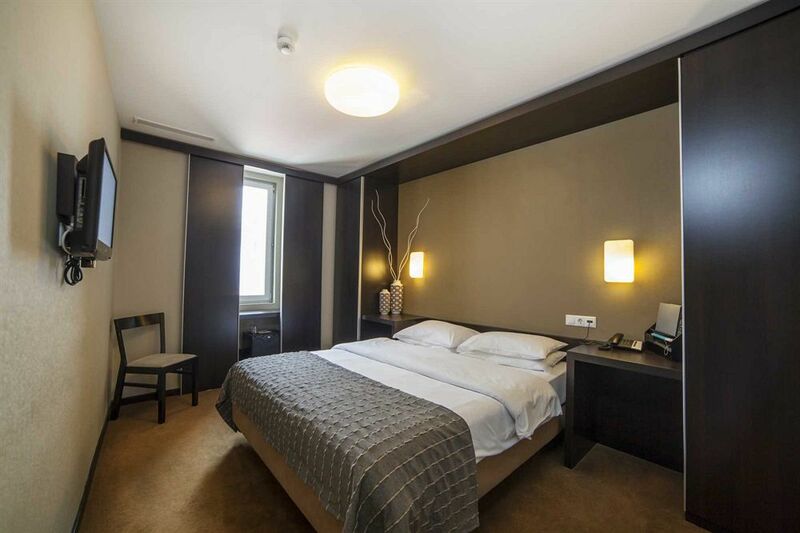 Located just off the roundabout of the Marquês de Pombal Statue, the Expo Astória Hotel is just a simple and straight stroll down the Avenida da Liberdade into the centre. For those not fancying the walk, there is a bus stop right outside the main door to both the city centre and airport, and many of the Hop on Hop Off Tours start and end just a stone throw away. The hotel had everything we could need and want and gave us a fantastic place to start exploring Lisbon. A massive thank you to all at the hotel for having us - we hope to be back soon! Disclaimer: we were given discounted price to the Expo Astória in exchange for an honest review. This looks amazing! Haven't been to Portugal in years so will remember this hotel. Pls do, it was located in such a convenient area for us! Wow, what a lovely hotel! Always love those HUGE showers! Can't go wrong with huge showers! 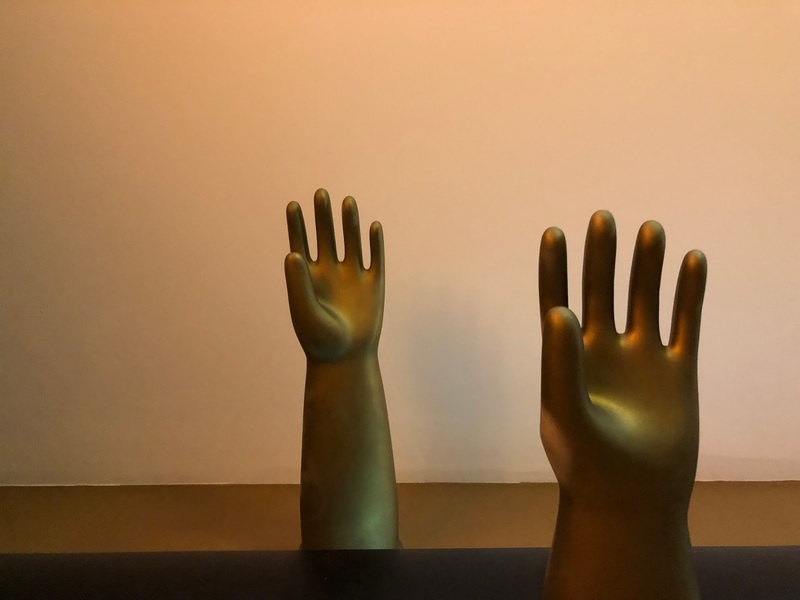 HI, I am loving the decor in the hotel especially the hands. Like the idea a reward for not changing the towels as well. Sounds like a fab place to stay. The decor was really something. Also loved the ethos of this hotel! Have never been to Lisbon but it's on the list now! Haha they freaked me out at the start but it's pretty cool! Lisbon is definitely on mine and Ryan's list of where to visit, and now I'm even more determined to go this year. I'm not massively into art, but the way this hotel have encorporated it. I'll definitely give this a second look when we book Lisbon! Oh that's great! You will love Lisbon and we hope you get to go soon! Expo Astoria Hotel looks amazing! Definitely a little quirky, but I like that. Amazing room - I wonder if they have anymore around the world. Not sure if they have any other actually, will have to look into that ourselves!